Daniel Singer Bricklin (b. 1951) was born in Philadelphia and studied at its Akiba Hebrew Academy. 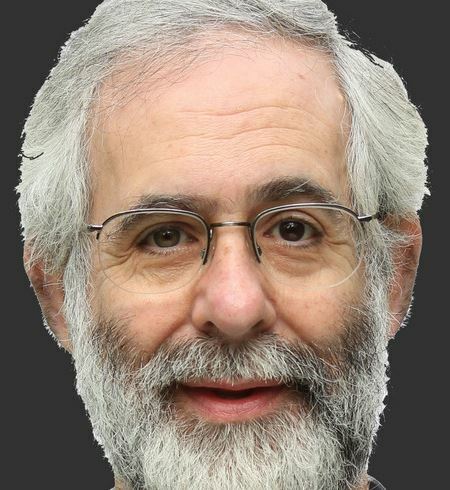 He graduated from MIT in 1973 with a degree in electrical engineering and computer science. His first job was working at a tech company called DEC, replacing typewriters with computers for newspaper companies. He then became DEC’s project leader on its development of the first word-processing software. After a few years, Bricklin moved on to work at FasFax, designing some of the first electronic cash registers for fast food companies. In 1979, he got an MBA from the Harvard Business School. During his studies there, fed up with repetitive and tedious calculations, Bricklin came up with an idea for an electronic spreadsheet. Teaming up with his friend, the two put together a new program called VisiCalc for the Apple II computer. This was the first spreadsheet software ever made, and the foundation for future spreadsheet programs like Excel. 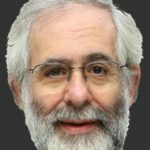 In fact, it was VisiCalc that transformed the computer from a mysterious device reserved for techies to a practical tool used by mainstream businesses and consumers. VisiCalc skyrocketed sales of the Apple II, leading Steve Jobs to admit that it “propelled the success of Apple… more than any other single event… If VisiCalc had been written for some other computer, you’d be interviewing somebody else right now.” A New York Times article at the time wrote humorously, but accurately: “All Hail VisiCalc.” For this, Bricklin was awarded the prestigious Grace Murray Hopper Award, among many others. Since then, Bricklin has started a number of other successful tech and software companies, and is currently the president of Software Garden, and the CTO of Alpha Software. He has also published a book, and has been featured in two documentaries. Watch Bricklin’s short and fascinating TED talk here. In the absence of any other proof, the thumb alone would convince me of God’s existence… Atheism is so senseless and odious to mankind that it never had many professors. This entry was posted in Business & Finance, Science & Technology and tagged American Jews, Apple, Apple II, DEC, FasFax, Grace Murray Hopper Award, Harvard, MBA, MIT, Philadelphia, Software, Steve Jobs, VisiCalc on January 17, 2017 by Jew of the Week. Lawrence Joseph Ellison (b. 1944) was born in New York and raised in Chicago by his aunt and uncle, who were his adoptive parents. Ellison studied computer programming at the University of Illinois but dropped out following the death of his adoptive mother. He moved to California shortly after, and bounced from one job to the next for eight years before settling at the Ampex Corporation. There, he worked on a project (code-named “Oracle”) to create database software for the CIA. A few years later, he put in $1200 of his own money (and $800 from two partners) to start a new company, Software Development Laboratories. By 1982, IBM started using their program and the company (now renamed Oracle Systems Corporation) was making millions. 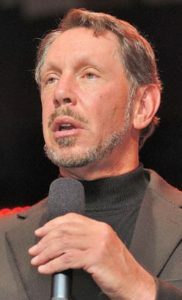 At the end of the first decade of the new millennium, Ellison was ranked as the highest-paid executive of any company, earning nearly $2 billion. Between 1997 and 2002, he was on the board of directors of Apple. In 2010, Ellison had Oracle acquire Sun Microsystems, another tech giant, for $7.4 billion. The following year, Forbes ranked Ellison the 5th richest person in the world. Aside from business, Ellison is a cup-winning yacht sailor, and a licensed pilot who owns two fighter planes. He has vast real estate holdings, and owns 98% of Lanai, the sixth largest island in Hawaii. Most importantly, Ellison is a huge philanthropist. By 2004, it was estimated that he had donated over $150 million. Since then, he has donated many millions more, including $10 million to the IDF, whom he described as “some of the bravest people in the world”. Most recently, Ellison donated a whopping $200 million to create a new cancer research centre at the University of Southern California. He has pledged to give as much as 95% of his wealth. Interestingly, he has also spent hundreds of millions on anti-aging research, saying that “death makes me very angry”. To become old is a grave sin. This entry was posted in Business & Finance, Science & Technology and tagged American Jews, Ampex Corporation, Apple, Billionaires, California, Cancer Research, Chicago, CIA, Entrepreneur, Forbes, Hawaii, IBM, IDF, New York, Oracle, Philanthropists, Pilot, Software, Sun Microsystems, University of Illinois, University of Southern California, Yacht on June 29, 2016 by Jew of the Week.